The 2018 PyeongChang Winter Games will begin on February 9, 2018, with the closing ceremonies happening on February 25, 2018. In between there will be 102 events in seven different sports with the sports being divided between 15 different disciplines. Pyeongchang is located some 80 miles east of the country’s capital, Seoul, and about 60 miles south of the Demilitarized Zone dividing North Korea and South Korea. Many major airlines (Delta, Korean Air, United, etc.) fly into Incheon International Airport located in Seoul, which is expected to be the main airport for the games. From Seoul, you can take the new high-speed rail line (which opened in December 2017). Korail will run hourly express KTX trains, with increased frequency during the Olympics. The journey time is slightly under 1½ hours. Or you can take a rental car directly from the airport. But be warned, car use near the venues will be restricted. So if you’re planing on renting a car, detailed research is advisable. Tickets for the Games are expected to be anywhere between $17 to $768, and this large difference in cost may vary depending on the event and the demand for tickets. Many of the events are expected to have tickets for $70 or less to attract visitors. Tickets for the opening and closing ceremonies are expected to cost between $192 to $1,310 dollars. Tickets to the men’s hockey final are expected to be the most expensive along with figure skating. It is believed that the number of tickets that will be made available to the public for the different events will be a little over a million tickets. Hotel rooms will be at a premium leading up the 2018 PyeongChang Winter Games, so your chances of getting your first choice for accomodations is quickly evaporating. There are a number of places to stay in the area that can fit a variety of budgets as this is a ski resort area normally. Some of the more expensive places to stay include Yong Pyong Resort, Hotel Odaesan, Phoenix Park, Alpensia, Dragon Valley Ski Resort, and Millbridge. Mid-range places to stay includes CF-Motel and We-Motel. Budget places to stay include Pyeongchang Guesthouse and 43beonga Guesthouse. If you don’t already have your hotel stay booked we suggest you try a specialty vendor like www.mybucketlistevents.com who has purchased blocks of rooms at the better choices. To enter South Korea, you’ll need a valid passport with at least one page available for your entry stamp. As you’re more than likely going to be staying for less than 90 days, you will not need a tourist visa. There are no special vaccines or other restrictions listed as of December 2016. There are a number of historical landmarks to visit during the 2018 PyeongChang Winter Games. There is the Hyoseok Cultural Town, Baengnyong Cave, Potatoflower Studio, Eoreumchi Village, Woljeongsa Temple, Herbnara Tourist Farm, Jeonggangwon, and Korea Botanic Garden. While the issue of security looms over the upcoming Winter Olympics amid sky-high tensions with neighboring North Korea, South Korea is bolstering up security ahead of the Winter Olympics. The defense ministry plans to deploy approximately 5,000 armed forces personnel to the Games. Hundreds of armed personnel have also participated in security drills in front of Pyeongchang Olympic Stadium to prepare against terror attacks, according to Reuters. On the bright side, it was just announced that North Korea will send a delegation of athletes, officials, reporters, and fans to the Games, and the two countries plan to march together during the opening and closing ceremonies. For a detailed Event Calendar and a list of venues, click here. 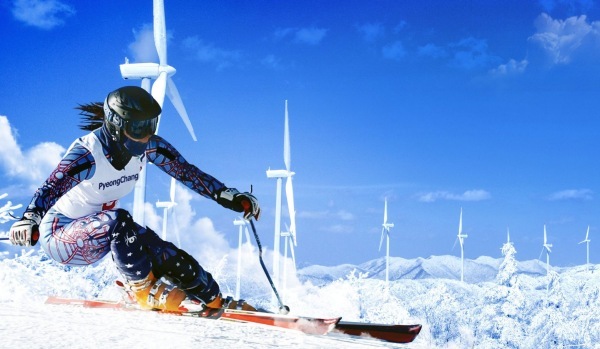 To visit the official site of the Winter Olympics click here. Looks like I should have made my reservations a month ago!